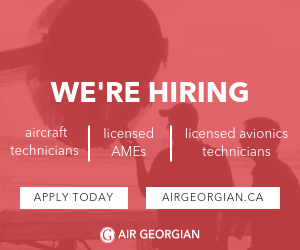 Is there anyone that knows or can do private multi/ifr ratings and has a plane within the toronto/ barrie/ collingwood and surrounding area, please let me know! Not to be a wet blanket, but it is illegal for someone to teach you ME/IFR on an aircraft they own unless they have an FTU OC. You only need to get your name on the C of R as a co-owner....problem solved. Surely someone must have tried at some point. 406.03 (1) Subject to subsections (2) and (3), no person shall operate a flight training service in Canada using an aeroplane or helicopter in Canada unless the person holds a flight training unit operator certificate that authorizes the person to operate the service and complies with the conditions and operations specifications set out in the certificate. (iii) using an aircraft that has been obtained from a person who is at arm’s length from the flight instructor, and the training is other than toward obtaining a pilot permit — recreational or a private pilot licence. (iii) when the training is discontinued. B.P.F. has posted the part that outlines it. Using a private aircraft , I think you will find that the fixed costs based on low utilization and variable costs make the aircraft more expensive than at a school. Plus an owner willing to agree to the use of the aircraft for training. Its a great idea but really, I dont think the numbers will work for you. Maybe you can find a generous aircraft owner. With the present instructor shortage you might find a school to rent you a twin. Near North Aviation has just opened up an FTU at the John C. Munro Hamilton International Airport in the JetPort building. Give us a call at 905-679-5577. As a new operation, we haven't built up a student load yet so we have aircraft available basically anytime you want. We have a Twin Comanche with fresh engines being added to our OC shortly. Hmmm. So, if I have a friend who owns a twin, and an instructor who can teach MIFR, since i will never be solo in the aircraft, I can obtain my MIFR rating by borrowing the aircraft with a MIFR instructor? I would never be PIC until after the Multi flight test, anyway, so if I can put the instructor on insurance I can use a class 3 instructor for the rating? Unless things have changed, ifyou have the 5 hours IF flight from your PPL, and the 5 hours IF from your night rating, you can do your multi IFR with a qualified person. They do not have to be an instructor. So class 4 may be a qualified person, notbecause they have a class 4, but because they qualify otherwise. Having said that, qualified to do the rating, does not mean actually able to give good instruction. Just as an instructor rating with zero real world flying in IMC may not really mean anything. Choose your instructor wisely. Also, where does sim work fall into this! Sim is much better for learning some of the IF rating, in my opinion. 1) For PPL/CPL training, you could use 2(b)(i). But what does TC consider "the owner". In my earlier example, if there are 5 owners, you own 20%, are you "the owner"? What if there are 100 owners? At some point you must be getting in trouble if you are running a flight school like that with 100 shareholders. 2) For everything else (ME, IFR, float rating, VFR OTT), the instructor can own the airplane and do instructing without an OC. He just has to inform TC about his activities. Is that how it works in reality? Or is there a catch somewhere else in the CARs that would make this a really bad idea? The instructor can never be the owner of - or provide - the airplane for training towards any kind of rating or licence (other than by setting up an FTU) because the “arm’s length” rule 406.03(2)(b)(iii) applies. No ME, no IFR, no floats, no VFR OTT. Unless the trainee or a family member of the trainee is also an owner. So the OP is requesting an unlawful activity, as B208 pointed out in the first reply. Family member is not defined in the regulations or in the Aeronautics Act but I imagine there is a “usual” meaning for legal purposes. You can do experience for tailwheel, unusual types etc, without an FTU in your own aircraft - but that’s it. If multiple people own an aircraft, they can all receive ab-initio or any other instruction in it. Even if the instructor owns a share. But it would have to be real shared ownership, with sharing of decision-making and maintenance, insurance, tie-down and all other costs. And that comes with joint liability for infractions too. When you look at the practicalities of setting it up, and the insurance difficulties, it’s quite tough. I doubt there are too many arrangements of that sort in effect. The instructor can never be the owner of - or provide - the airplane for training towards any kind of rating or licence (other than by setting up an FTU) because the “arm’s length” rule 406.03(2)(b)(iii) applies. No ME, no IFR, no floats, no VFR OTT. The english language got me again. I was under the impression that "arm's length" defined a maximum allowed distance, not a minimum required distance. My mistake. It does allow the student and instructor to go on kijiji and rent a shady rusty bucket of bolts for the training though? As long as the renter is an arm's length away from the instructor. So the student can source an instructor and a plane from different locations for his ME/IFR/float ratings if so desired. No FTU involvement is technically required, and the student does not need to own the airplane for this. In this scenario the airplane has to be obtained without influence by the instructor. So if an owner has a special arrangement with me to rent only to my students, that’s not arm’s length. If he rents to you at less than a regular rate, and I pay him the difference out of what I charge you for training, that’s not arm’s length from me. If he’d rent to you to train with any comparable instructor, at a price that makes him happy, and you just happened to pick me, that would be at arm’s length from the instructor. The requirement to hold an FTU Operating certificate reflects Transport Canada's desire that there will be a level of oversight over flight training by requiring that the airplanes be maintained to a commercial standard, that flight training will be overseen by a Chief Flight Instructor, that training flights will be authorized through a daily flight record etc etc. The intent of CAR 406.03 (2) (b) (iii) is so that an instructor can't avoid all of the requirements of operating an FTU by just going out an buying an airplane and then renting it to a student while also providing instruction. The regulation however does provide some flexibility for other than RPP/PPL for a student to provide their own airplane and then contract an instructor if they or their immediate family own the aircraft, or they have obtained the use of it through a means not associated with the instructor. In practice I believe the arms length provisions are relatively rare but instruction on your own airplane is not uncommon. The last 3 PPL's I did were all on airplanes either owned by the student or owned by an immediate family member. Thank you all! Pretty clear explanation! Yes, there was a guy in Alberta who did it a number of years ago. He had a 172 and offered shares in it and flight training. From what I could gather he seemed a competent and experienced instructor. I'm not quite sure what TC would think of this arrangement, but I imagine they'd only take a close look if something went wrong. To the OP: what you should do is find someone who will rent you their plane, and then find a different person (freelance instructor) to do the actual instruction. That's what I did for my CPL, and it was a much better experience than either of the two flight schools. The tricky bit is finding someone who is willing to rent you their plane, and finding a good freelance instructor. Right now the only decent freelance instructors that I know have all started working for TC or the airlines, so I'm probably stuck with FTUs if I ever want more training. And the FTUs themselves have waiting lists due to the pilot shortage. Except, ironically, for ab initio instruction. The instructor CAN be the owner of the airplane for ab initio instruction if the trainee or the trainee's family member (which may be the instructor him or herself) is ALSO an owner. (I did write that, carefully.) And not just ab initio - if the trainee (or their family member) is an owner, then ALL instruction can be given. That means, for instance, an instructor can teach their own child, sibling, spouse or parent for a PPL in an airplane the instructor owns. Also, for any other licence or rating. The "arm's length" concession (which excludes ab initio instruction) is not needed when the trainee is an - or as the regulation puts it, "the" - owner.